As your realtors, The Doyle Team will work hard to find you the right home and protect your best interests! How We Can Help You Find the Right Home? How Long Will It Take to Find the Right Home? The number of homes you will see will vary. Some clients find their homes in the very first two or three properties that they see, the very first time they go out! That could happen to you if one of the first homes is the right one for you. However, some clients see ten or more homes before they have found one that will work for them. A lot of this depends on your particular needs and price range. It will not matter to us how long it takes to work with you – our goal is to help you. We will never pressure you on anything – we make that commitment to you right up front. 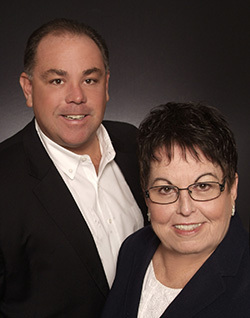 Our goal is to be your realtors and make buying your home a fun and rewarding experience. As your realtors, we will assist you through the entire process from start to close on your new home. What If I Drive By a Home and I Want to Know the Price and Home Information? Call us right away! We will pull up the address on the Multiple Listing Service Program and provide you with all the details on the home. What If I See an Ad in the Newspaper or a Homes Magazine? Call us right away! We will get all the information you need on the house. What If I Go Into an Open House Hosted by Another Realtor? Please tell them you are working with The Doyle team and give them our business card. The real professionals in the business protect each other’s customers – remember that realtor is representing the seller of that home – not you! If you like the house, we will go back with you and take a look at it together. Call us right away! It is in your best interest to talk to a loan representative prior to looking at homes. How Do I Get Pre-Qualified? You should call a Loan Officer and tell them you are starting your home search and that you would like to get pre-qualified. If you don’t know the name of a lender to call, we can provide you with a list of names and numbers that The Doyle Team ahs worked with. Some lenders will allow you to lock-in an interest rate while you are still shopping for homes. Some will lock-in after you have an accepted contract. (Lock-in means the lender will guarantee you a particular rate for a specified amount of time – normally 30-75 days) *note: over 30 days lock may require a fee. Ask your lender. You have found the right home! Now it is time to make an offer. Why Do I Need to Make an Earnest Money Deposit? Congratulations! You are now well on your way to being a home owner! After you have an accepted contract, here are the next couple of steps in the process. As a reminder, you will receive a letter from our Administrative Assistant, Karen, outlining the process. You now have 20 days to have an inspection performed on the home you are purchasing. We went over the Inspection Addendum on the contract with you, when we wrote the offer. A Home Inspection is a thorough visual explanation of the structure and operating components. Note: Painting, decorating or other items of a cosmetic nature, regardless of the cost to remedy, shall not constitute a defect for the purpose of the property inspection contingency. An appraisal will be required by your lender to determine the value of your home. The appraisal will be ordered by your lender. What is the Appraisal For? You now need to decide which company you are going to get your Homeowner’s policy through. Provide that information to the lender and title company that will be handling your closing within 10 days of the accepted contract. You will need to bring a CASHIER’s CHECK or CERTIFIED FUNDS to your closing; the Title Company can not accept a personal check or cash.